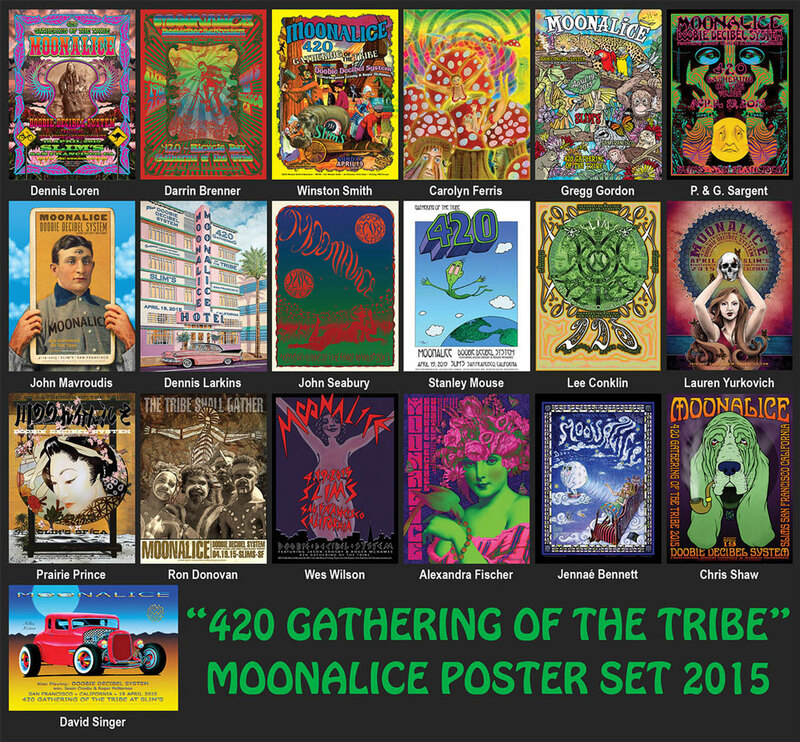 Poster fans won’t want to miss Moonalice’s 420 Gathering of the Tribe at Slim’s in San Francisco this Sunday! 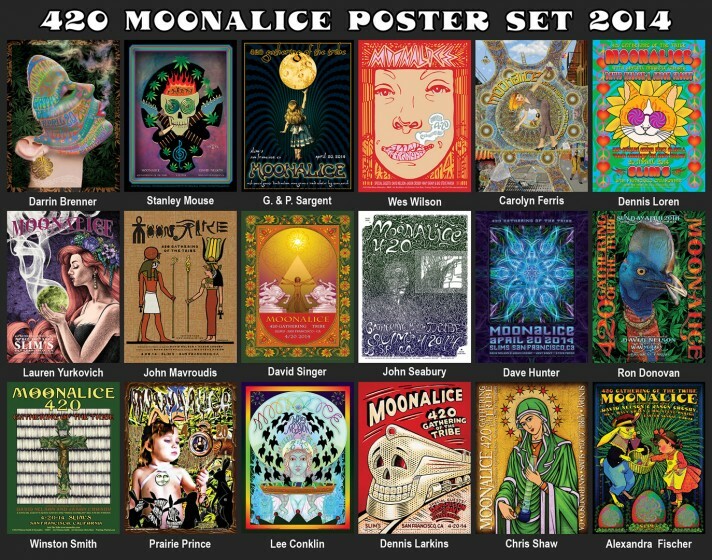 This event will include an exhibit of all 696 posters in the Moonalice series next to Slim’s in the Warren Hellman Exhibit Center. Everyone present will recieve a set of 18 posters (pictured below) as a gift from the band! 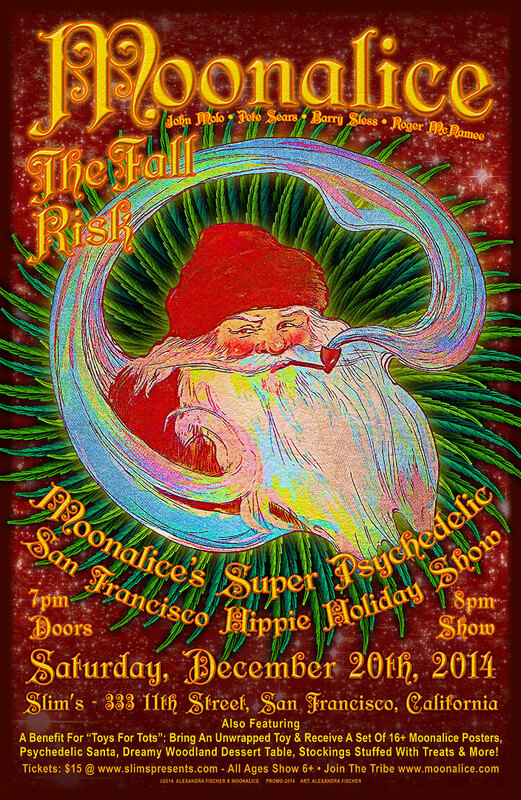 There will be three silk screen posters created by Chuck Sperry, Gary Houston, and Alex Fischer available for purchase! 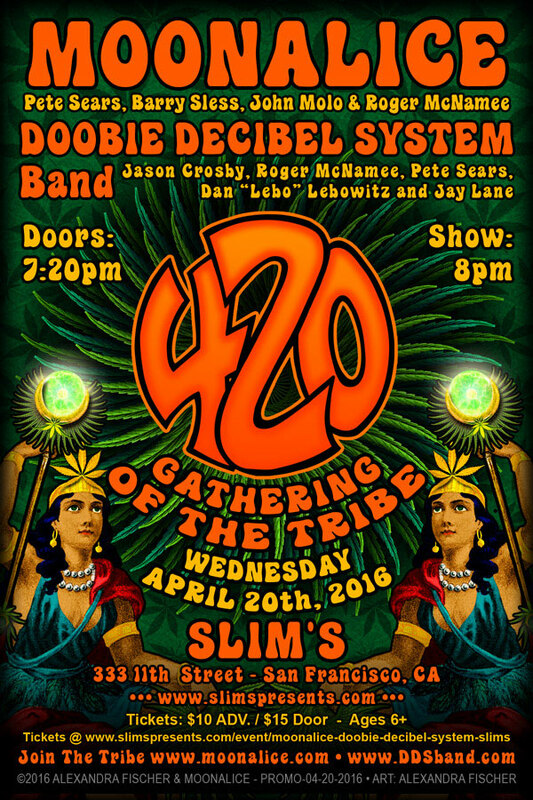 For Moonalice, 4/20 is the highest of high holidays and Moonalice’s Barry Sless, Pete Sears, John Molo and Roger McNamee will include special guest David Nelson to mark the occasion. 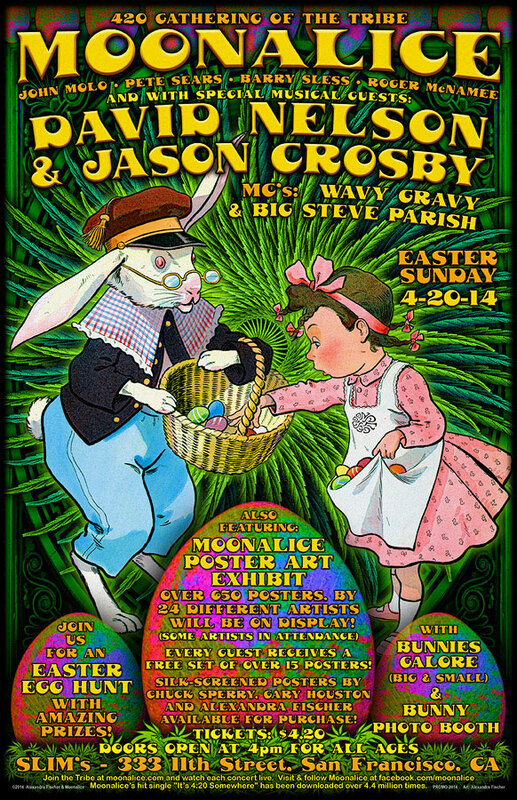 Wavy Gravy and Big Steve Parish will emcee and opening act includes Jason Crosby & Friends (Dan ‘Lebo’ Leowitz, Jay Lane, and Chris Crosby). Lots of bunnies (big and small) can be expected, as can treats galore and an Easter egg hunt with prizes including tickets to BottleRock for Friday & Saturday (the two days that Moonalice is performing, event continues on Sunday), plus tons of Moonalice schwag including; poster art books, CD packs, t-shirts, sweatshirts, ashtrays, rolling papers and so much more! 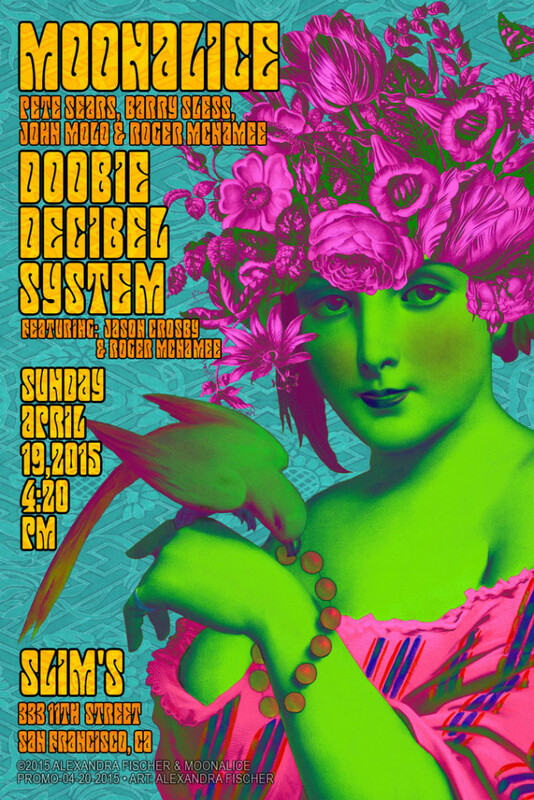 General admission to Moonalice’s 420 Gathering of the Tribe at Slim’s is $4.20 ($29.15 with dinner).